Disney World offers some of the best shopping in its own shopping district. What we used to know as Downtown Disney has now officially become Disney Springs. I will be there in October and share updated pictures with all of you. Over the last several weeks, “Disney Springs™” has started to replace “Downtown Disney®” on roadway signage and throughout property. Today, we’re thrilled to share the name change is official! And the timing couldn’t be better, as we are now celebrating two new one-of-a-kind dining experiences at The Landing: Jock Lindsey’s Hangar Bar, which debuted last week and Morimoto Asia, officially opening to Guests tomorrow, Sept. 30, 2015. 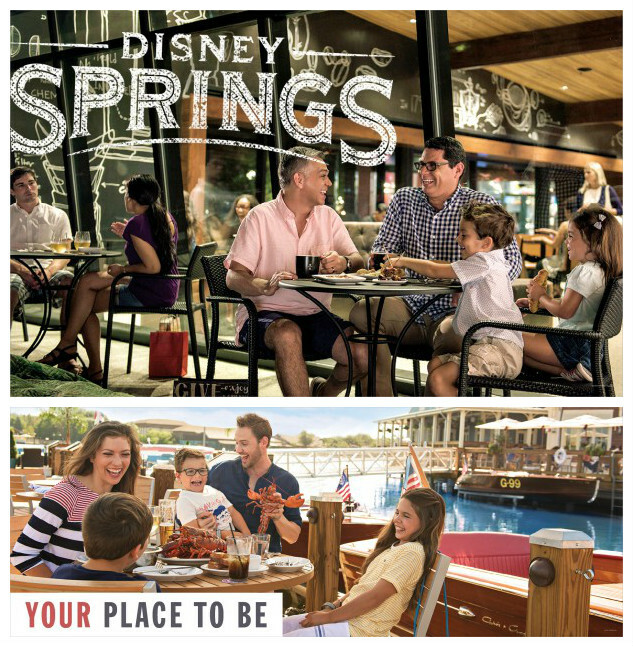 Welcome to Disney Springs™, an immersive waterfront destination overflowing with sights, sounds and flavors inspired by Florida’s natural charm, all in a beautiful outdoor environment! Showcasing a one-of-a-kind mix of brand retail and distinct Disney shopping, along with a stunning assortment of incomparable dining offerings, it’s an unforgettable place the entire family will enjoy—only made possible by the imagination of Disney. So get ready for the largest expansion in Downtown Disney history as Disney Springs transforms the area and doubles its shopping, dining and entertainment options. Stay Tuned for more Disney Springs travel news and information. My name is Melissa and I am an agent with Main Street Adventures Travel Agency. I will be paying a visit to the all new Disney Springs in less than a month and look forward to sharing more information with you. Contact me to plan your very own Disney World vacation. As an authorized Disney vacation agent, I can help you with all my expertise and no extra fees. It all starts with a free quote. ← Two New Disney World Offers Available Through December 23rd.